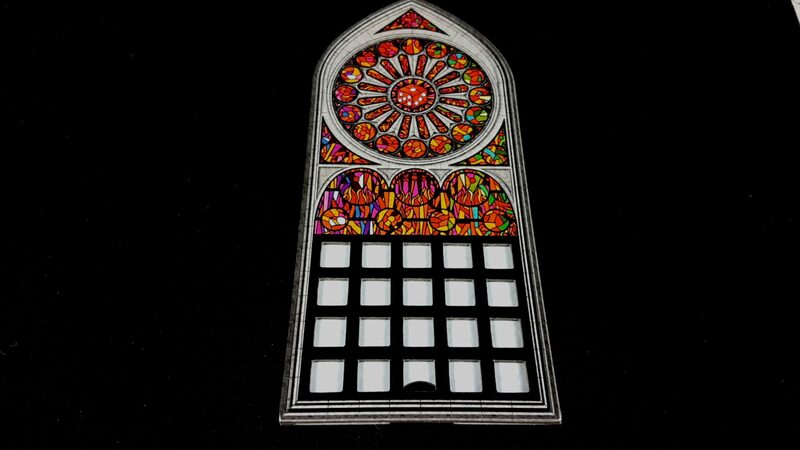 The decoupling of scoring and accomplishment in the local context of your window board was the primary thing that slightly tainted my love of Sagrada – it’s why it got only four stars in our review. Make no mistake though – I love this game a lot and find it almost erotically satisfying to slot its dice into their waiting sockets. Forget I said that. You don’t want to imagine that. Me, getting turned on by a board game. Just slipping dice into slots. All. Day. Long. Hard patterns. Big rolls in tight constraints. Put it out of your mind. If you can. Anyway, it’s a lovely game that is well presented but as you might imagine we’ve got some things to talk about with regards to accessibility. Let’s get cracking, which is a word probably no-one wants to hear in relation to stained glass windows. Colour blindness is, predictably, a massive problem. There was even a deeply unsympathetic Reddit thread about it. Regardless of the snippy responses I love it when people raise these issues – I like people to be vocal when inaccessibility spoils their enjoyment of a game. I like it less when their legitimate concerns are shouted down. The first problem is of course the window patterns you are attempting to make. The cards make heavy use of red, green and blue. That causes considerable problems for each of the standard categories we discuss here and as you might imagine additional difficulties for more subtle manifestations of colour impairment. Consider Protanopes attempting to differentiate the purple and blue, or the green and red. Consider Deuteranopes and red and green. Consider Tritanopes with blue and green as well as red and purple. It’s all a nightmare. But that’s nothing compared to what happens when you bring the dice into play, because all of the problems now compound. It’s no longer an issue of discriminating colour because it becomes one of selecting optimal colours when you can’t even guarantee a die is valid or that its placement next to one of a similar colour is legal. 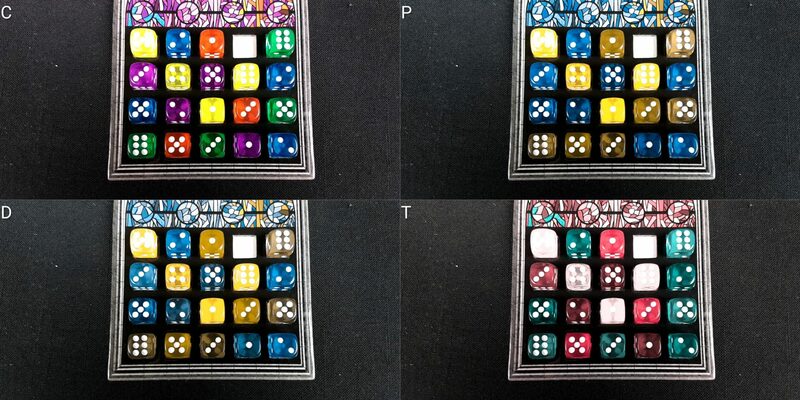 That’s especially true given the fact the dice are translucent and as such lighting conditions and even angle of viewing has an impact on whether the colours or numbers are clearly perceivable. And of course, you get similar issues when considering public and private objectives. Now, to be fair – this isn’t a game that has an obvious solution because dice can’t very well be easily changed in terms of their tactile profile. Printing icons on the front would have a significant deleterious effect on the game aesthetic since as far as I am aware that’s mostly done by affixing labels. There are solutions though but they do require a little bit of creative thinking. Different styles of numbers (Arabic numerals versus pips), different pip stylings, marble patterns on the dice and even translucent versus opaque. Those could all serve to give an additional channel of information that would permit the game to be played fluidly for all categories of colour blindness. There is also the less effective but more obvious solution of choosing less problematic colours. How would that have looked? I don’t know, but I would very much like to have seen it explored. Maybe it would have looked better as well as being more accessible. It’s not that the game is impossible to play for those with colour blindness, but it will require an exorbitant amount of support from the table and the additional awkwardness this will inflict is likely to make the game deeply frustrating. We strongly advise players with colour blindness play a different game. There are a lot of dice in play and while they’re all standard d6s (albeit of a brightly coloured variety) it’s not at all straightforward to replace them with accessible dice. For one, there are too many. For another, they are expected to be slotted into the supporting window frames. For another still, the dice that are drawn from the bag are a shared resource – you’d need to do some translation of dice as they leave the pool to become parts of your window display. 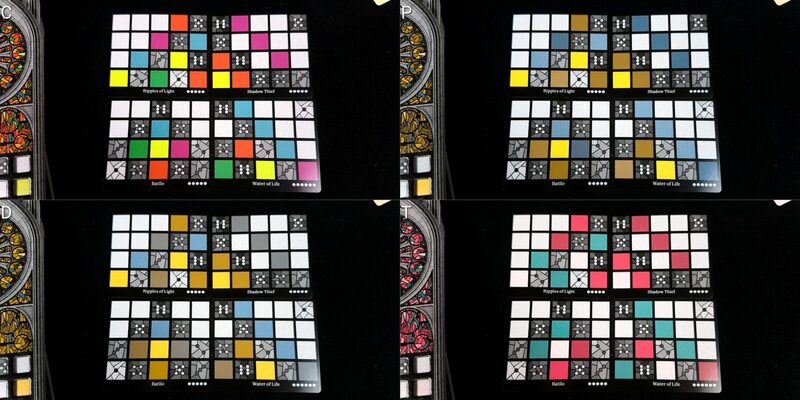 Some method of assigning colour to the dice as they are placed into a window display, perhaps on the grid notepaper. The rest of the game can be handled via support from the table and narration, including the availability of dice in the pool. It’s far from ideal but it’s workable if someone has the will to persevere. A more effective solution would perhaps be to use a spreadsheet as we discussed with regards to Codenames, but some of the tools in the game make that cumbersome. They let you move things around and that can result in a lot of reformatting and restyling of the grid. It’s a possibility, but not one that we’d necessarily recommend. For those for whom total blindness must be considered, the issue becomes one of local information processing and pattern matching. Your placements are intensely dependent on the current state of your window and the availability of dice in the pool. Scoring in turn is dependent on public objectives which will need to be processed against the window as it stands and the likelihood a player will get the dice they need to meet scoring requirements. Even the viability of tools needs assessed against needs and currently layout of the window. There are only twenty slots on the player board but they each have several key pieces of information associated and that would all need to be memorised barring some accessible representation of game state. That’s before you start to take into account variation of colours and numbers and positions on diagonals and so on. It’s an awful lot and mistakes are easy to make even if a player is fully sighted. 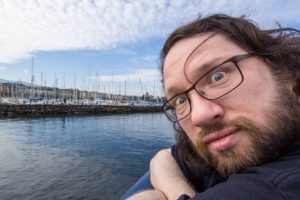 The entire point of the game is that its modelled in the style of an incident pit – it’s going to keep restricting the options and compounding your failures until you reach the bottom. You don’t need to keep especially close track on what your opponents are doing but you need to be intimately aware of what you’re setting your own board up for in the future. We don’t recommend Sagrada in this category, although those desperate to play it will likely find a way to make it happen. The rules are relatively straightforward and you can scaffold the difficulty by either selecting particular objectives and tools or reducing the number. Or both. The placement restrictions are intuitive and for the most part it’s a case of matching colour or number or neither. The problem is that it’s not the restricted spaces that end up causing you problems – it’s what you place in the open slots that will haunt you. There’s a blue slot there that absolutely could not be filled because a blue die was placed in the open space surrounding it. Maybe that was the only possible choice, or maybe it was an accident Regardless, that’s a point of damage the rest of the window must route around. Similarly with numbers – you might find that in addressing an open slot you have managed to invalidate an entire row and column. Sometimes you’ll need to do that and it becomes a risk and reward calculation. That in turn is going to require a fair amount of fluidity with numeracy to know what you can sacrifice and the eventual cost. You might abandon getting a pair of threes and fours but gain a row of colours that don’t duplicate – that’s likely worth it in the end but it’s going to depend on the impact is has on the rest of the scoring. With tools, if you’re using them, there’s a pivot point that comes with using them well – at the point they’re cheap but not too early because their value multiplies as your window continues takes shape. Sometimes too the way to win is to deprive your opponent of a dice and that instantly multiplies the cognitive cost of every calculation you make every turn. Sometimes you’ll use a tool as an aggressive act of resource denial – spend your token to double the price knowing that your opponent can no longer afford it. All of that said – I’m pretty sure Sagrada would still be fun if you ignored all the scoring. I’m sure of that because for solo games I don’t even bother – it’s just satisfying to build a set of windows. I even think you could house-rule a very satisfying co-operative variant using the model of the solo game – everyone gets a window and their collective job is to get a combined score that beats the total of the non-drafted dice. You could even make it so that you’re all working on all the windows. I haven’t actually tested this variant but I think it would maintain a lot of what makes Sagrada interesting and fun while removing a lot of the cognitive complexity by making it a joint endeavour. For those with memory impairments only there is no hidden information in the game save for your private objective card, and truthfully you could play with that as open information with very little game impact except in the most competitive of groups. However you do need to hold a plan in mind and assess its feasibility against ever shifting odds as the dice are drafted. You can always refresh that plan by checking the game state but that has a cognitive cost to go with it. We’ll tentatively recommend Sagrada in the category of fluid intelligence, and recommend it more strongly in our memory category. 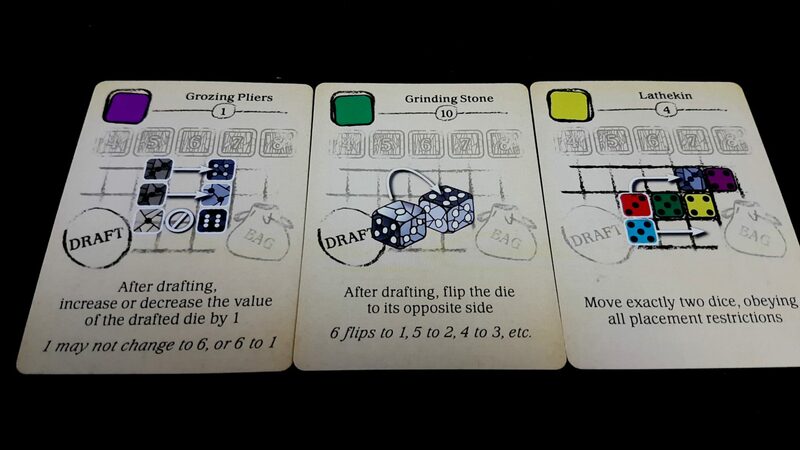 The only real competition in the game comes from the drafting of dice, and while it’s possible to ‘hate draft’ it’s often to your intense cost. 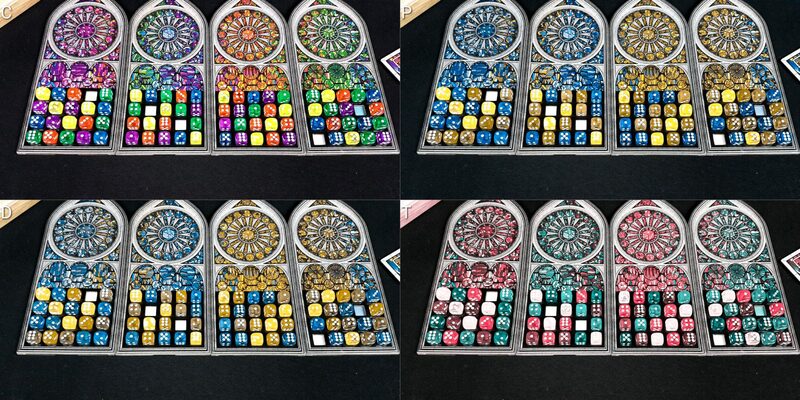 You can draft a die and burn it so it doesn’t get placed but your job in Sagrada is to draft twenty random dice and place them in twenty slots with complicated placement restrictions. You do a lot of damage to yourself to if you select with the single intention of depriving another player. What’s more common is that two players will want the same die, especially if a particular colour has been reluctant to come out of the bag. In those circumstances the last player will have no option to get the one they want most, although they do get two drafts back to back. The availability of special tools can help mitigate some of the pain of someone drafting a die you really wanted – you will often have some mechanism, usually flawed, by which you can still make progress with your window. What’s more problematic in this category though is that there is a very good chance you’ll need to live with unfinished patterns and die placement arrangements that invalidate any legal possibilities. Those that feel a compulsive need for completion will likely find that a troublesome prospect. The task in which you engage is intricate and mistake will compound. Randomness too is a major problem as the game goes on because it often becomes a case of not just needing a particular colour of dice but needing it to be of a particular number. Sometimes there’s only one possible combination of those that fulfils your requirements and not seeing it ever come up can be frustrating. Score disparities can be high, because the game is scored not on completing a window but on meeting objectives. Luck plays a big part in this so it tends to even out in the long run. Some objectives though need you to gamble on achieving difficult tasks and if you fail or are forced into a suboptimal strategy you will find yourself heavily punished as a result. As the game progresses too there will often be scenarios where no die in the pool can be legally placed. You’re left simply passing your turn knowing that you won’t ever get a chance to undo the damage that missing a turn does. The tools you get access to sometimes let you change placements but they never give you back a die you couldn’t otherwise draft. That said, these are relatively minor issues and they don’t change the fact that we recommend Sagrada in this category. On a positive note, the window frame sockets make sure the game is suitably robust – it can deal easily with tables being nudged and even the frames being shunted around. The cost of that is that dice need fine positioning to fit into the slots and it becomes very difficult to make any changes when tools permit it. More than this, some of the tool cards are almost perverse in their instructions. ‘Move two dice, obeying placement rules’. Well, thanks but the placement rules are obscured by the dice and now I need to lever them out, taking care not to change them, in order to see if moving one is a good idea. If a dice is surrounded in an eight cell, or even four cell, neighbourhood the simple act of lifting it up can end up knocking things out of alignment even if physical accessibility issues are not otherwise a problem. Fine grain motor control in other words is very important in order to place and change things on a player board. Verbalisation though is a cinch because everything can be clearly and unambiguously explained. The window frames don’t come with co-ordinates but the combination of rows, columns and the pattern of a window permits easy identification of where a die should go. In any case saying ‘third row, first column’ is perfectly fine because there are only four rows and five columns. On a bigger window that would be a problem but okay fine here. Selecting a die from the pool is as straightforward as saying ‘the blue four’ or ‘the purple two’, and since dice of the same colour and face value are interchangeable it doesn’t actually matter which is taken. Tools too are not a problem. There are only three and they all have unique names and transparent costing rules that permit one player to act fully on behalf of another. We’ll recommend Sagrada in this category given that it’s fully verbalizable but bear in mind the sockets are a double-edged sword – good for robustness of placement, bad for flexibility of play. Far, far better though than just nestling the dice directly on the card. None of the art is gendered, and despite the theme none of the game is remotely devotional in style or intonation. The Sagrada Familia was obviously intended to be a Catholic church but despite the framing of what you do there is no expectation that you engage with this specific religious context or any other. 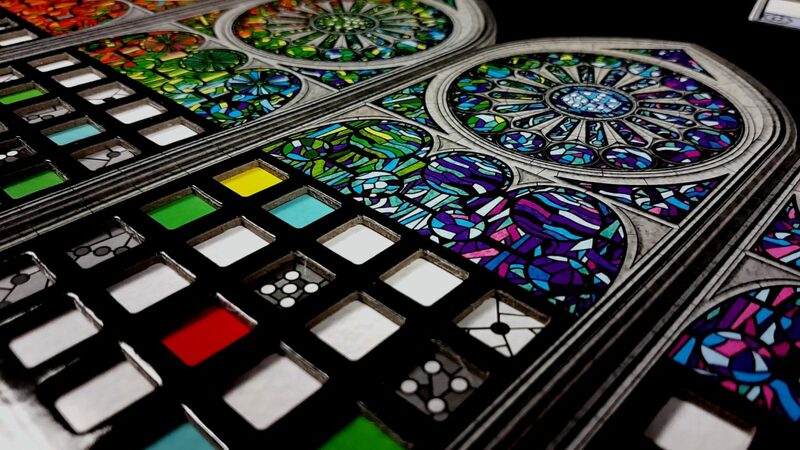 You are simply an artist competing to create stained glass windows. The manual makes use of the second person perspective and is similarly ungendered. 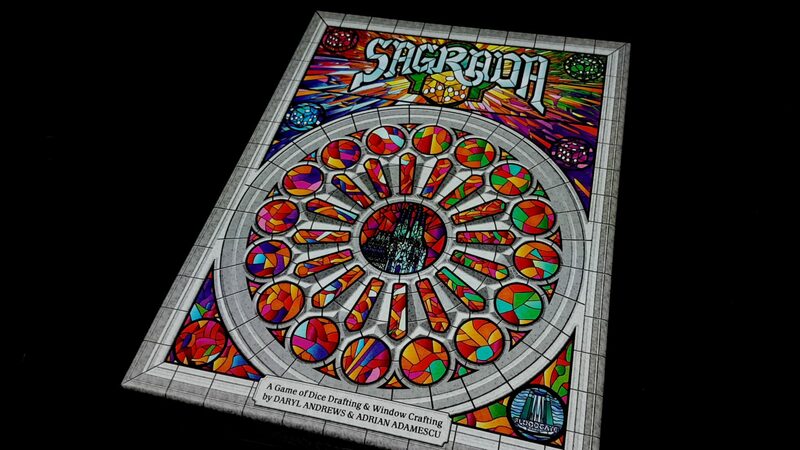 The RRP of Sagrada is around the £40 mark, and it supports play at all levels well – including solo play. There’s a lot of variety in the box given its various intersections of tools, objectives and windows. You get a lot for your money and the production values are unquestionably top notch. It might be a little on the pricey side for its player count but you don’t wonder why you’re paying what you’re paying. We’ll recommend Sagrada in this category. There is a small expectation of literacy with regards to the tools cards, but not so much that it would be a problem provided someone is able to explain to the table how they work. There are only three in play at any time and their effects are relatively simple and demonstrated diagrammatically on the card. Otherwise the game can be played in meditative silence if you like. We’ll strongly recommend Sagrada in this category. Communication impairments combined with physical accessibility issues are often an intersectional problem, but the scope of the game here means that it’s playable even with simple binary noises of assent. Point to the dice in the pool until one is selected. Point to a row until one is selected. Point to a column until one is selected. Job done. Our tentative recommendation for those for whom fluid intelligence accessibility is an issue would be removed if these intersected in any way with a visual impairment – that’s true of the individual visual impairment category but we did say that Sagrada would be playable if someone wanted to make the effort. That requires a lot of cognitive processing though and as a result we wouldn’t be able to offer even that suggestion in such circumstances. Sagrada plays very rapidly, barring accessibility considerations, and in the end you only ever place twenty dice. It’s easy for players to drop out of play if discomfort becomes a problem – you just roll fewer dice. It’s not straightforward to drop from two players to one because the solo game makes use of different rules but there is flexibility in player counts otherwise. Interestingly this is also a game that permits a kind of ‘saving’ because of the solidity of dice in the sockets. Provided you store the box flat you could save the state of two windows in the box. Otherwise you can safely move them somewhere else until people feel ready to come back to play. Few games offer that kind of facility, even accidentally, so it’s nice to see it here for Sagrada. 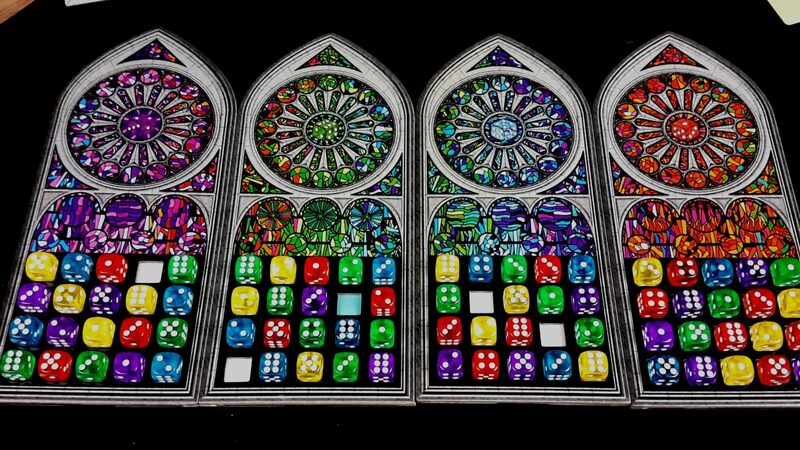 Sagrada is interesting particularly in the colour blindness category because it is possible to have a colour matching dice game that is fully colour blind accessible but in this specific case I’m not sure really it would work without seriously detracting from the theme. The translucent dice are an important part of the aesthetic and the colour choices are just… well, they matter. It’s not as simple as saying ‘change the colours’ because you’d end up with a much more muted version of something that should be striking and vibrant. I think there’s a happy medium where the game could still be visually impressive and accessible, but I also appreciate that there are implications here beyond the normal. Still – it’s also not an unreasonable ask. 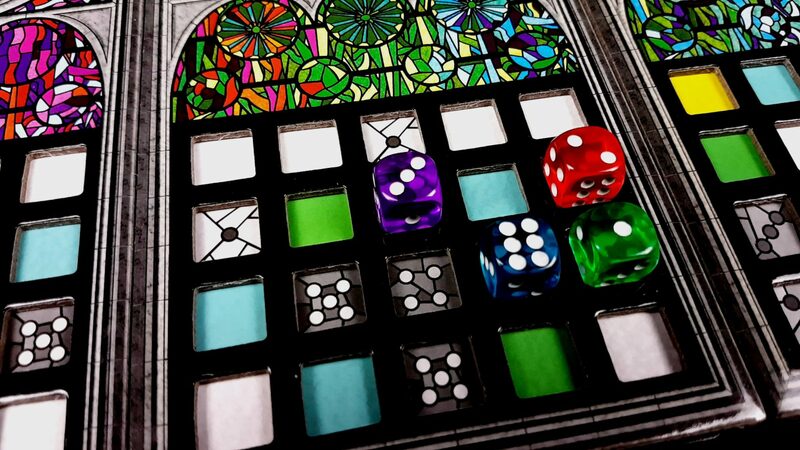 We gave Sagrada four stars in our review – it’s tightly designed, just like the little sockets into which you’ll slip your dice. It’s comforting, it’s satisfying, it’s difficult and it’s deeply frustrating in the best possible way. It’s a dice drafting game with a narrative arc and if you think you could play it I don’t think you’d regret picking it up.